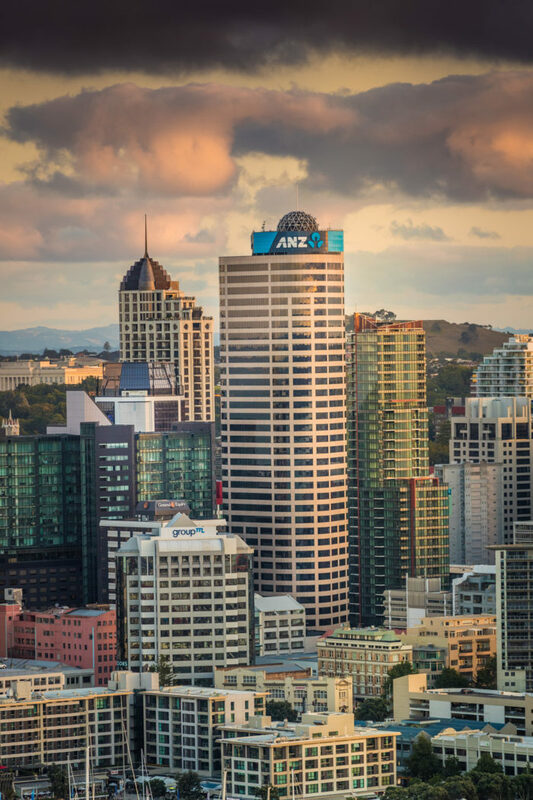 ANZ Centre is at the heart of everything tomorrow’s Auckland has to offer. The ANZ Centre is managed by AMP Haumi Mangement Limited licensed under the REAA 2008. It is owned by Precinct Properties (50%) and a fund controlled by Invesco (50%). Crowned by its signature geodesic structure–symbolic of the shortest connections between points on a globe the ANZ Centres architectural presence is unmissable, unmistakable and iconic. At the centre of the network. 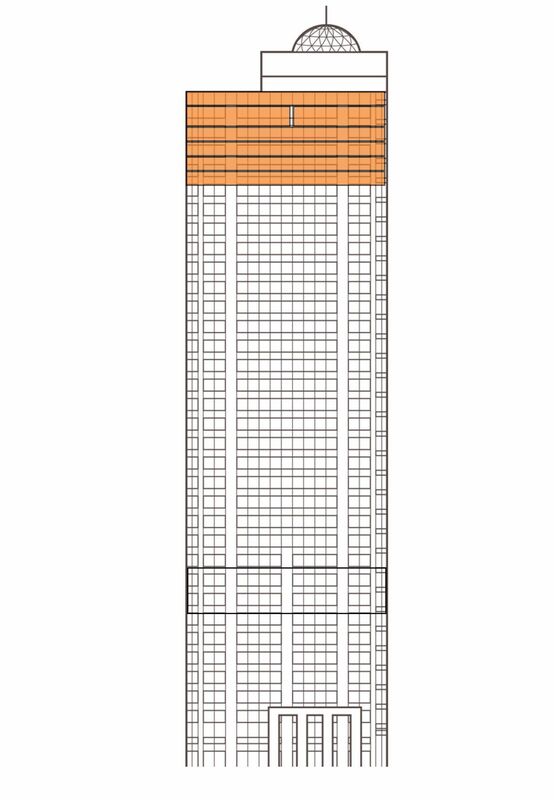 With an elevated location on Albert Street, ANZ Centre is perfectly positioned to provide optimal views over the Waitemata Harbour and to the west and east of the city and beyond. 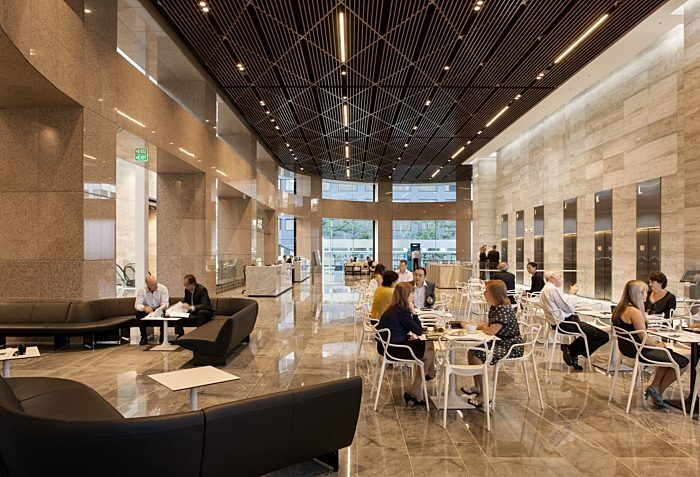 Regularly updated and upgraded, the ANZ Centre is a thoroughly modern example of what an office building should be. A $76m refurbishment in 2013 saw it win the Best Commercial Property award from the NZ Property Council. Alongside secure access, café and 24/7 concierge facilities, ANZ Centre offers all the end-of-trip and related amenities needed to support an easy commute or exercise during the day. Showers, lockers, changing rooms and bike storage help people make the most of the adjacent cycle and pedestrian routes. 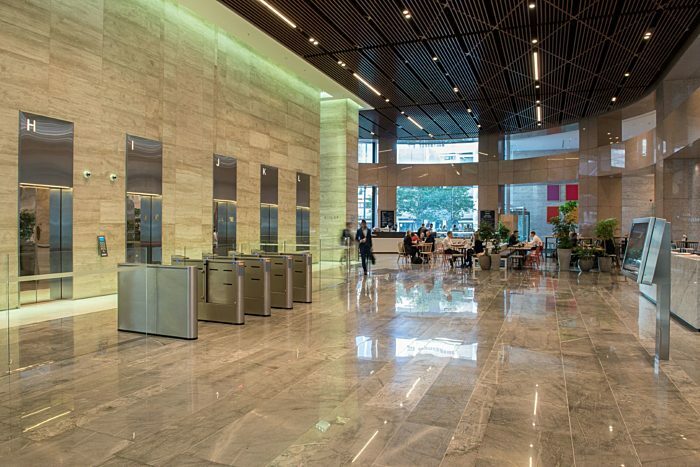 From the sense of arrival in the grand, welcoming hotel-style lobby through to secure on-site parking available, a Kone destination control lift system and VAV premium-grade zoned air conditioning, ANZ Centre makes life a breeze for occupiers. With transportation in Auckland undergoing a transformation, the options for getting to and from ANZ Centre are increasing exponentially. The City Rail Link runs straight past in Albert Street, with a new station as part of the upgraded streetscape. A walk down Albert Street takes you to the Ferry Terminal and Britomart. Major bus routes pass right outside. Cycle paths and walkways converge here. The recent 50 percent sale of the building initiates an equal share interest between Precinct Properties Limited and Invesco Limited. Day-to-day management remains with New Zealand-based owners, Precinct Properties. 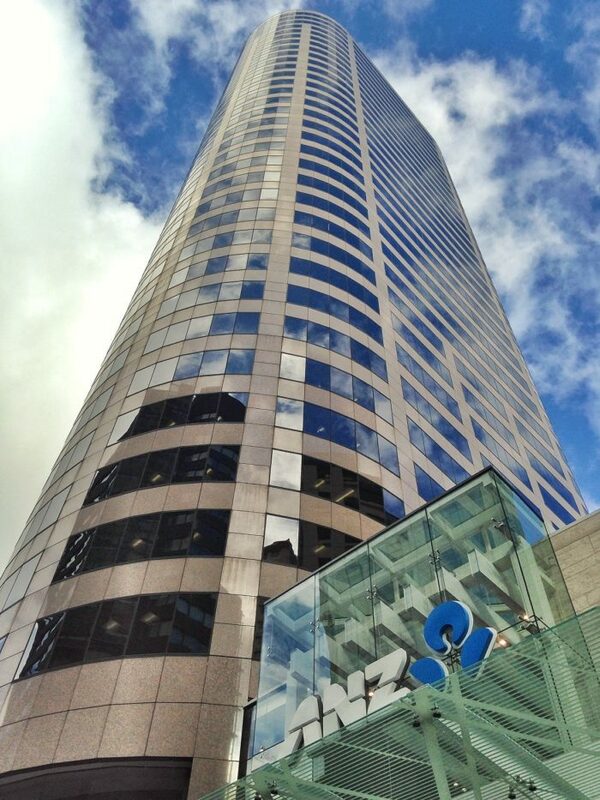 The ANZ Centre is a recognised city land-mark and Auckland's third tallest building. Having recently undergone an extensive services and architectural refurbishment it is now one of the CBD's highest quality buildings featuring a grand and welcoming lobby. 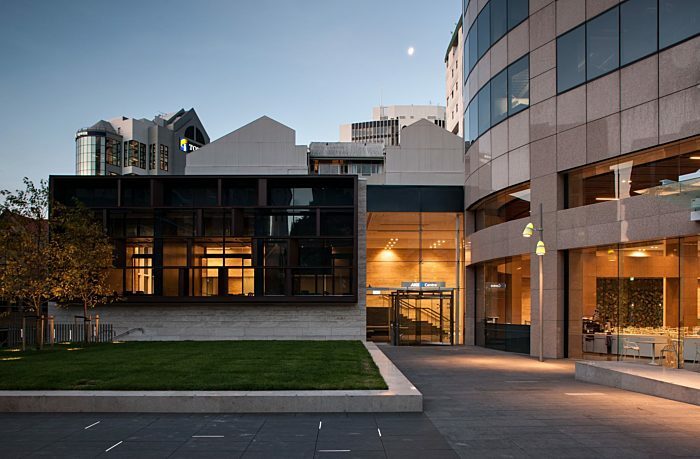 Immediately adjacent outside green spaces including the nearby St Patrick's Square and the lawn make the building a unique offering in the heart of the CBD. Talk to Peter about leasing space in ANZ Centre. Watch: All the ANZ Centre has to offer. A Landmark of Auckland's skyline. Our complaints procedure is designed to provide a simple process for resolving any concerns that you may have about the service you have received. If you have a complaint we will do everything possible to resolve the matter in a professional manner. You may be asked to put your complaint in writing. If so, please allow 10 working days for us to respond. We will need to talk to the team members involved with the issue in order to respond properly. If for any reason your complaint can’t be resolved within 10 working days, we will let you know what our expected time frame to respond will be. We may invite you to attend a meeting with the person or persons involved in order to discuss your concerns and see if we can agree a resolution. If we are unable to come to an agreed solution at the meeting or if you would prefer not to meet with us, we will provide you with a written response within the time frames noted above. Our written response will include a proposed resolution to your complaint. If you do not accept our proposal, please tell us in writing within 10 working days, how you would like the complaint resolved. If we accept your preferred resolution we will attempt to implement that resolution as soon as possible. If we decline your preferred resolution we may invite you to mediate the dispute in order to try and resolve your complaint. If both parties do not agree to attend mediation, then that will be the end of our process. If you agree to mediate the complaint and an agreement is reached, then we will take steps to implement that solution as soon as possible. However, if we do not agree to mediate the dispute or you do not agree to attend mediation, or if no agreement is reached, then that will be the end of our process. While we encourage you to use our complaints procedure, you can still make a complaint to the Real Estate Authority (REA) at any time, whether or not you choose to use our procedure. Details of how to make a complaint to the REA can be found here.